Drs. Claire Kolar and Kristin Janke received an Institutional Change Grant from the University of Minnesota Women’s Center to fund the program Outside the Pharmacy: Conversations with Women in Leadership. 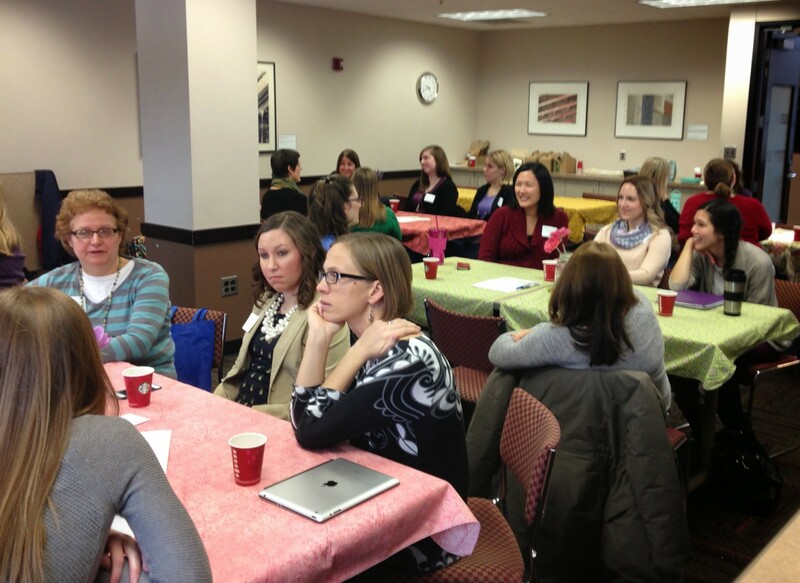 This program brought together women students, residents, and faculty at the College of Pharmacy, and pharmacists in the workforce with women involved in leadership across the University of Minnesota campus for a series of conversations based on the five principles of the book How Remarkable Women Lead and using the World Café format. These conversations were designed to develop a local community of women engaged in pharmacy leadership and to enhance our connectedness to women leaders within the University. Read more about the project here. How did you ensure the participants would engage in the conversation? 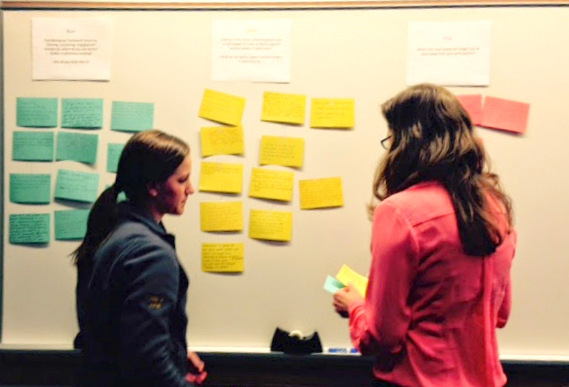 We selected the World Café format because it is designed to foster dialogue and encourage sharing and collaboration. Each of our events started with a talk on the theme of the day given by a women in leadership at the U of MN, but outside the College of Pharmacy. This was followed by the World Café in which participants sat at café-style tables of 5-6 and discussed provided thought questions. After a short break, the women returned to a new table for another World Café discussion with a new group of 5-6 women. Using this model, we were able to create many opportunities for conversation among the participants. What do you feel was the biggest success of this program? As our events progressed through the year, we kept hearing our participants say they valued the community being created. They appreciated hearing women at various stages of their career were experiencing similar challenges in their work and facing similar decisions regarding their professional development. When asked what would be needed to support women in pharmacy going forward, many said more opportunities for communities like this to be formed and sustained. We realized we had begun to create a community of practice, where women wanted to come together and continue to interact in order to support one another and the profession. We have received another Institutional Change Grant from the U of MN Women’s Center to continue our work, this time doing action research. This second phase of the project, Leading by Doing: Advancing Women in Pharmacy through Action Research, will build on what was done in the World Cafés. We hope to answer the question How can we foster the advancement of women in pharmacy? and create a sustainable community of practice of women in pharmacy along the way. Stay tuned!